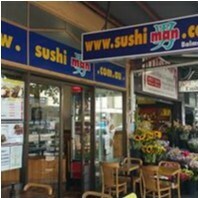 Sushi Man joined our Mission to help provide access to “Clean Water for All by 2030”. This Mission was initiated by the United Nations. A big thank you to Sushi Man’s team and customers for joining this extremely important mission on 24 January 2018. "My partner and I take the kids here for casual meals. They have great service and the food is good. I've always been very happy with the meals an speed of service. The sashimi, sushi, Tempura, okonomiyaki is great, as is the agadashi Tofu. Easy casual dining, it's popular on the weekends so be early or be prepared to wait a little - it's worth it."